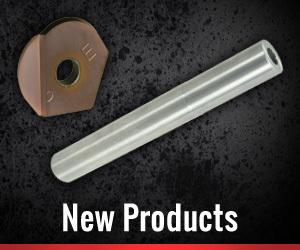 Sterling Edge manufactures a wide range of tool bodies for our replaceable tip inserts and Indexable inserts. 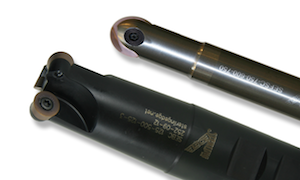 Sizes in Standard Inch from 3/8" diameter to 1-1/4" and Metric from 10mm to 32mm with overall lengths from 4" (100mm) to 12" (300mm). 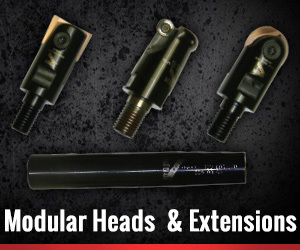 We offer Ballnose and Flat Bottom Steel Shank (straight and tapered), Carbide Shank with Braised head and modular screw-on-head extensions in steel, carbide and Heavy Metal Tungsten with multiple style heads for maximum tool flexibility and productivity. 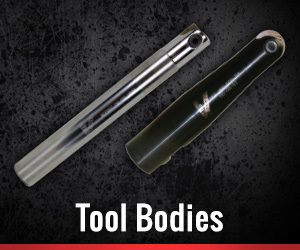 As with everything we offer, our tool bodies meet the highest industry standards for accuracy and repeatability. 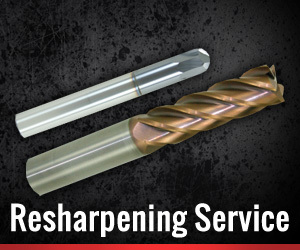 Sterling Edge is the best source for highly accurate and competitively-priced carbide insertable profile milling tools. 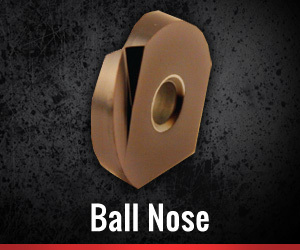 We provide multiple styles and geometries as well as state-of-the-art coatings that best fit the application and materials you are cutting. We know that one size does not fit all like our competitors would have you believe. 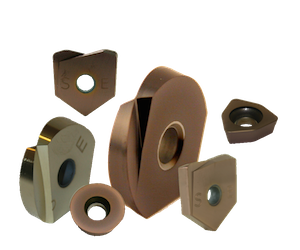 Our Finishing Inserts are manufactured to exceptionally high standards using fully ground “Second Generation” geometries, materials, manufacture and inspection. 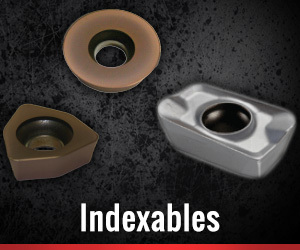 Machinists choose Sterling Edge because they know our finishing inserts meet extremely fine tolerances and they can depend on our tools’ accuracy, repeatability and durability. 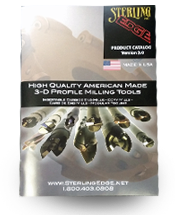 Sterling Edge manufactures highly accurate, competitively priced profile milling tools for 3-D applications. 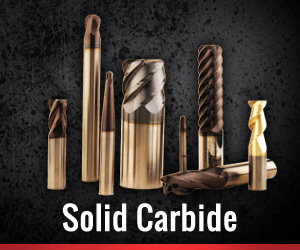 View our catalog to see the full range of our carbide inserts, tool bodies, milling cutters, and carbide end mills and coatings to fit your specific needs. 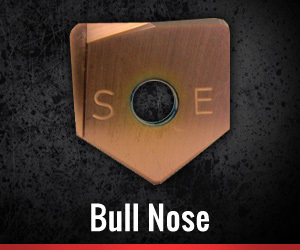 Beside what you see in the catalog, Sterling Edge offers quick turnarounds on special tooling. Moving Through Metal Even Better. 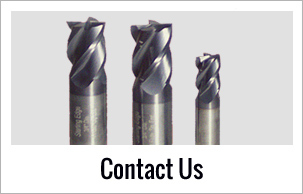 Sterling Edge manufactures milling tools for 3D applications, primarily for the mold-and-die-making industry. 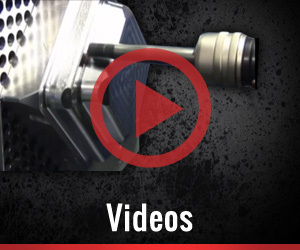 Being an independent Michigan based company gives us the advantage in customer service and the agility to offer a quick turnaround when you need a special milling tool for finishing. 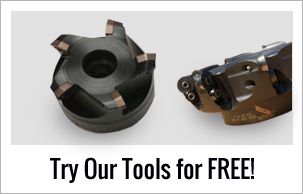 Where a large tooling company can take months to turnaround specials or alterations, if they will do them at all, Sterling Edge can make and deliver your special tools in 1 to 2 weeks in most cases and alteration in 1 to 3 days, and we deliver at a competitive price, often 10-20 percent, or more below our competitors. 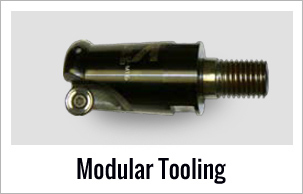 Mold and die makers and machinist for the medical equipment, aerospace, defense, appliance, plastics and automotive industries know the value and service they receive from Sterling Edge. 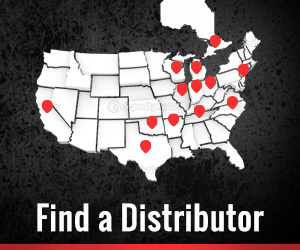 We enjoy a 90 percent retention rate among our customers and about a 90 percent conversion rate when a prospective customer puts our tools on the spindle for testing. Sometimes the buyers for die making shops want to test out a competitor, but the machinists tell them: "Good luck beating Sterling Edge. We've never found anyone that could beat them."